Discreet but effective, they are a component of the Pattayan identity, virtually since this former simple fishing village started attracting local and foreign investors. In the beginning, they were from Northern India, mainly from Punjab (i.e., in Urdu: panch-ab, five rivers), but nowadays, there are also Pakistanis, Bangladeshis and even Burmese with a Nepali origin. In the eyes of Thai people, they are all ?khaek Hindu? (a generic term, such as? ?farang? ), even if many of them are Muslim (or Sikh, sporting a beard and wearing a turban, whose doctrine, developed at the end of the 15th century by Guru Nanak, was based both on Brahmanism and Islam). Whereas, and notably in Western Europe, they excel at catering, their favourite business in Pattaya is tailoring. Some of them look like they were born with a pencil behind the ear and a tape measure around the neck as a scapular. To them, taking your measurements is second nature, if not first. Very enterprising and industrious, they run businesses in all the tourist centres of the kingdom of Siam: Bangkok, Phuket, Koh Samui, Chiangmai, Koh Chang? As a matter of fact, their main targets are Westerners. Like all business-minded people, they do not count the hours spent in the shop, get the best value for money from their suppliers, subcontractors and service providers, work together within the family and quickly reinvest their profits in order to multiply the points of sale. Being cunning strategists, they know very well how to adjust to the lie of the land and circumstances. You will see them often installed in the halls and galleries of five-star hotels. Naturally, they have the gift of the gab, master Thai and English languages on top of their native dialect or mother tongue and one or two other Indian vernaculars. Some of them go as far as learning business French! The most seasoned possess customer-files so well-stocked that they can afford to tour Europe at least once a year and take direct orders and add to their clientele among the relatives, friends or neighbours of their acquaintances. In Pattaya, many Indo-Thais are multi-owners (houses, buildings, shops) and send their children to the best schools (i.e. the most expensive), but it is not rare to see them delivering their suits riding a worn-out scooter. In spite of a certain wariness from the Thais, they really fit very well socially while remaining definitely endogamous (i.e. they do not marry outside their caste) and abide by this rule in every country where they take root. By the way, it must be mentioned here that the Indian Diaspora has a time sequence that goes back in history. This spreading out started in South-East Asia during the first fifteen centuries of our era (cf. George Coed?s, The Indianized States of Southeast Asia). Angkor temples in Cambodia are its best illustration. In Bangkok, on Sanam Louang, the royal esplanade, every year, in May, the sacred ritual of the ploughing ceremony is performed by the Bakous (i.e. ?Brahmins of the palace? ), who are descendants of Indian priests. Similarly, there have been Hindu influences in Malaysia for a long time but this ancient Hinduism has little to do with the one observed nowadays (in spite of Islamization) and that was inherited from Tamil travellers who came from South India in the 19th century. Notably after the abolition of slavery in 1833, the British had ?invited? hundreds of thousands of Indians to go and work in the mines and plantations, or simply as civil servants, in their Asian, African or West-Indian colonies. Most of them, of course, settled down there definitely, taking root and ultimately forming long-lasting and flourishing communities. Now, the population of Indian origin throughout the world is estimated to be over twenty million souls (from Durban to Vancouver, from Mauritius to Fiji... including salesmen operating duty free shops in the principality of Andorra, a tiny estate hidden between Spain and France!). Following the independence of India in 1947 (freedom at midnight!) and, above all, after the ?Partition? (creation of Pakistan) that went with communal confrontations of extreme violence (leaving one million dead), many Punjabis (especially those who found themselves on the wrong side of the border) decided to reach for more peaceful lands. Many of them went by boat, from Karachi or Calcutta, and disembarked at Penang (Malaysia) before taking the overland route to Thailand (where some of them had relatives already assimilated). Some came directly across Burma (part of the British Empire from 1855 till 1948). 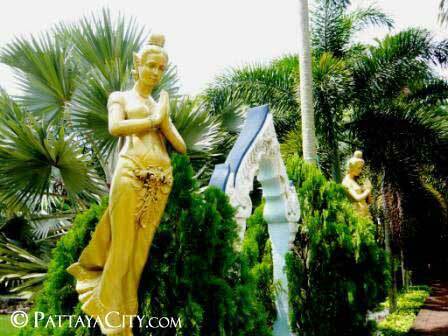 According to rather matching testimonies of several Indo-Tha?s established in Pattaya, their fathers or grand-fathers had chosen the proud Kingdom of Siam for its hospitality, its tolerance and the fact that Siamese people were well-disposed towards natives of a country that saw the birth of Buddhism. The new immigrants knew that they could quietly carry on their businesses there, while sticking to their religious observances without disturbing anybody. More recently, from 1965 onwards, during the Vietnam War, the American army bases multiplied in Thailand (as in Utaphao, for instance, ?35km from Pattaya) in order to develop a logistical support to the Uncle Sam?s troops. Thousands of G.I. ?s (i.e. ?Government Issues?, strangely meaning ?army soldiers?!) were thus posted on this side of the Mekong River. Indians who were present there instantly knew how to boost their activities of textile traders. Some twelve years previously, during the Korean War (1950-1953), there had been a determining precedent in this profession: tailors (Chinese and? Indian) in Hong Kong had thrived thanks to the ?boys? coming there on R&R to treat themselves with made-to-measure suits for a far cheaper price than off-the-peg clothes in the US. For ?Mister Singh? and associates, the dynamics were launched. After the fall of Saigon (1975), tourists replaced soldiers in the Kingdom of Smiles and the new heralds of the sewing machine called in their parents, cousins and friends. But we should not be simplistic: they are not all ?dressers?, far from that. Many, particularly in Bangkok, operate and strive in fields such as finance, law, computers, publishing, high-tech industry (just as in the United States where they form, among immigrants and for a few decades already, one of the most enterprising and prosperous minorities). As mentioned in a recent report of the Indian government, Thailand officially has seventy thousands citizens from Indian origin and fifteen thousand ?non-resident? Indians, i.e. holding Indian passport and residing regularly in Thailand, not counting the increasing number of Indian tourists who enjoy a new purchasing power and come here on package tours that are organized of course by operators of Indian origin. Back to square one! Note: the word ??Hindu?? refers to the follower of the religion (usually by birth), while ??Indian?? indicates the citizen of India, who is not always Hindu but could be Muslim, Christian, Buddhist, Jain, Sikh, animistic, pantheistic or even atheistic?